Its been ages since I got a whole load of new polishes all at once so I thought now would be a good time for a cheeky mini haul. Three of these polishes were sent to me as a PR sample, three were Christmas presents and one was given to me in a goodie bag! Gelly Hi-Shine Polish - Key Lime & Blueberry. I was really impressed with these. 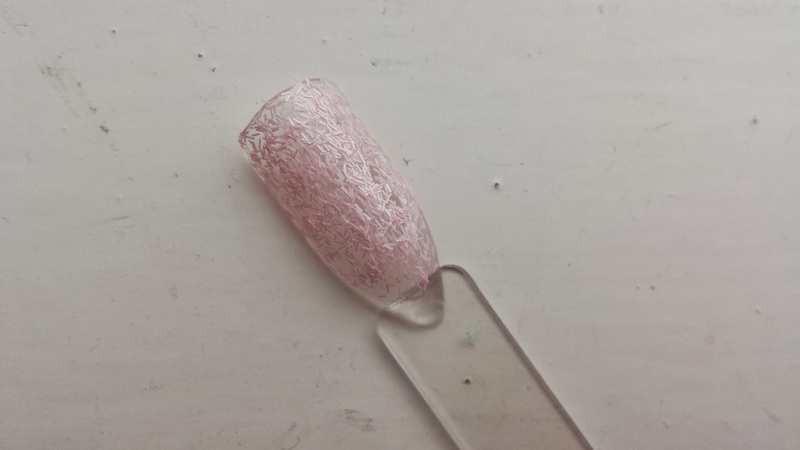 The Gel finish is very similar looking to a real gel manicaure but it alot cheaper and easier to change colours when you feel like it! They were a perfect consistency, a smooth finish and were very easy to apply well - and true to name, they were both very shiny. 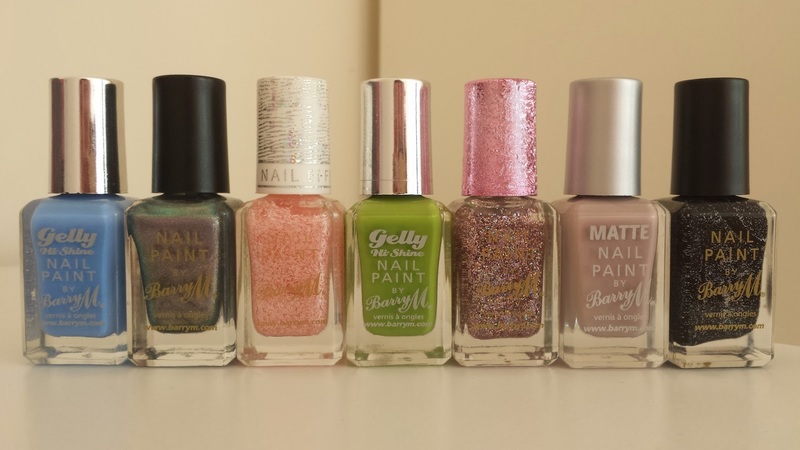 This has quickly become one of my very favourite Barry M ranges. I'd love to try out some of the other shades. This one, I'm not too sure about. When I go for glitter, or confetti in this case, I like it to completely cover. 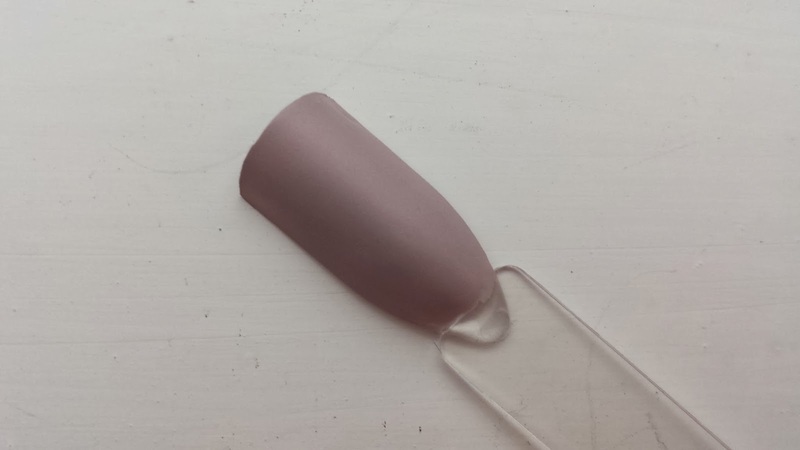 I'm sure this would work nicely as a top coat over a pretty pink or a white but as a colour on its one, I'm not a fan. The swatch has easily 5 coats on and it's still how I would wear it. 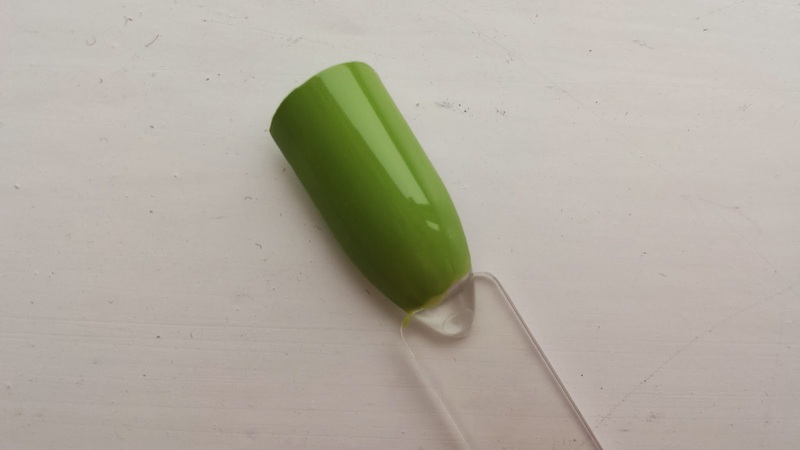 I think the fact that it is very pastely makes me dislike it a little more as I have a confetti polish in Sour Apple and I like it much better, although, still not enough to wear. and black was lacking from my collection. 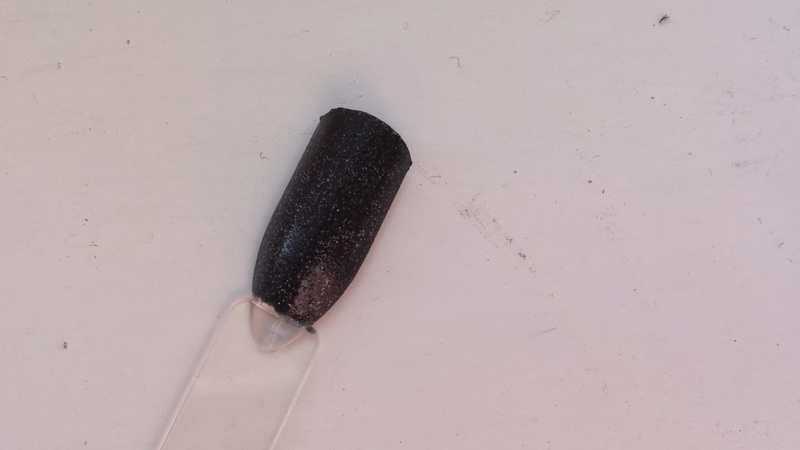 This black has tiny specks of silver glitter in it and in the bottle looks lovely although the glitter didn't transfer as well onto the tip, I feel like it didnt come out as sparkely. I am quite fussy when it comes to in your face glitters, I'm not a great lover of silver glitter in anything, I much prefer the silver holographic glitter, which is still silver it just reflects different colours, that is why I was drawn to this limited edition polish while in the que to buy the black one. 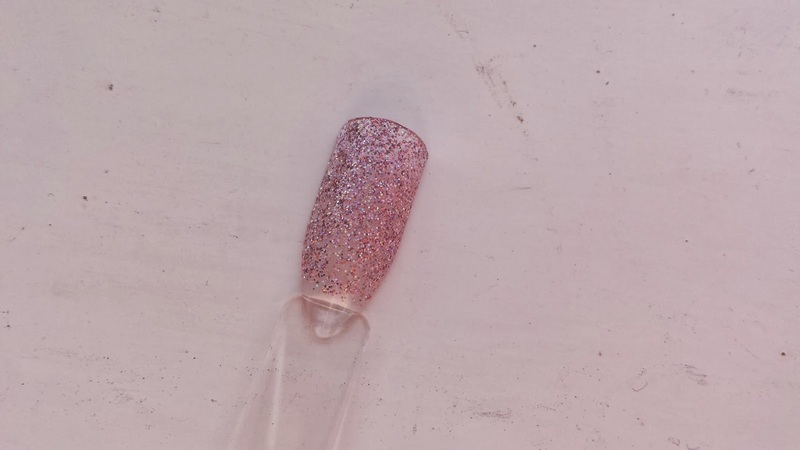 Two coats is quite enought but I would put 3 or 4 just becuase I love the look of really thick glitter. 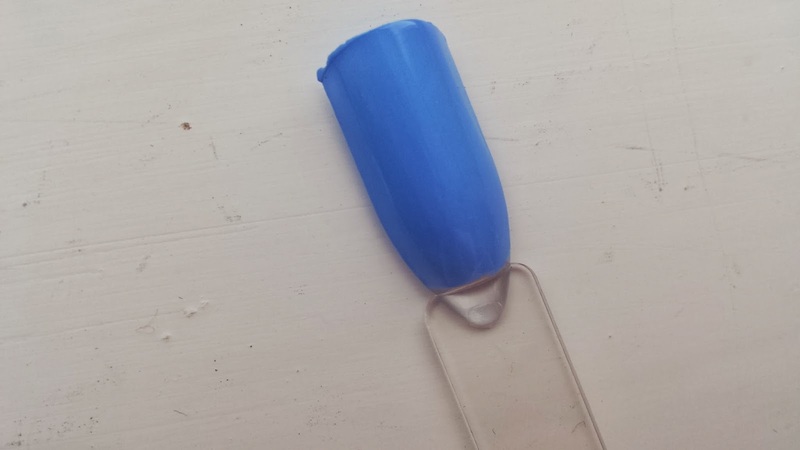 This isn't a shade I would personally pick up, it was the one that I received in a goody bag, but I was surprised at how much I liked it once I had applied it to a tip. 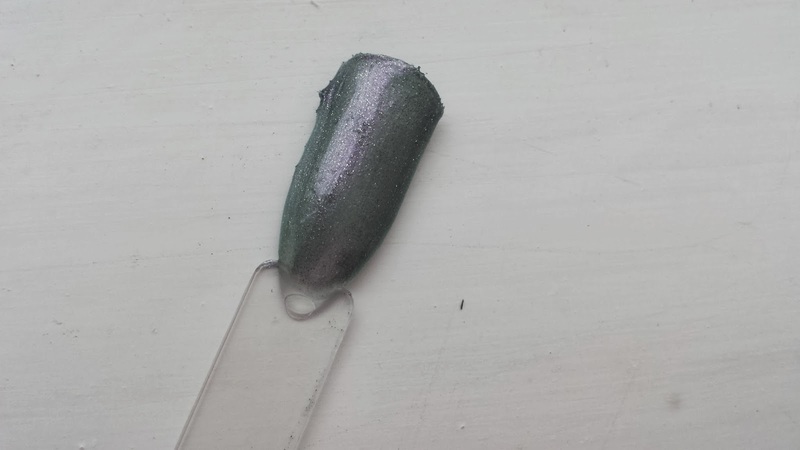 In the bottle it looks quite like the models own beetlejuice polishes but on the tip it is more a nice grey with tiny little specs of silver in it like the black polish above. It's quite a thin polish so I would be applying it around 3 time to get it up to a standard that I would be happy with. Have You Tried Any New Polishes Lately?